One of RIBI’s 5 Rotary GO (Growth Opportunities) for growing club membership which I have been promoting recently is the concept of Corporate Membership. 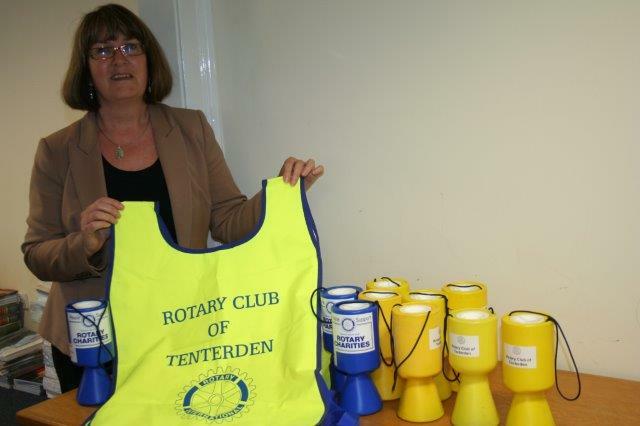 The District Membership team has been working with Tenterden Rotary Club on this idea following interest expressed by a travel agency business in their locality. I am pleased to report great progress and on 1st April the club welcomed their first Corporate members – Travelux of Tenterden (Part of the Baldwins Travel group). 4 members of the management team of Travelux were selected by the company to become the designated Corporate Members of the club. Within a short time of joining members of their staff took part in the High Street collection in aid of Shelter Boxes for the Nepalese earthquake disaster. The Travelux office was the central point for collection boxes and tabards for the activity as can be seen from the attached photo. Corporate Membership offers great potential opportunities for many clubs across District 1120. Many of us have contacts with local businesses and organisations who are interested in developing and nurturing Corporate Social Responsibility within their company by working with the local community and Rotary can be that catalyst and link to provide the support in achieving these goals. If you want to have more information on Corporate Membership then please contact me directly.